The early finds of copper in South Australia alerted potential investors to the possibility of copper in other parts of Australia. In NSW, most of the early copper finds were of smaller ore bodies and often of poorer quality ore. In later years, rich copper lodes were found at Cobar and Cangai. The first mines in NSW were opened in 1844 and 1845 at Copper Hill, near Molong, and at Lipscombe Pools Creek, near Canowindra. Another mine was in progress at Summerhill Station, near Rockley, in 1847. It published its prospectus in the Bathurst Advocate in 1848, as the Bathurst Copper Mining Company. The first ores mined in South Australia were shipped to England for smelting. The first official record of smelting in Australia is at the Newcastle Copper Smelting Works in 1846, using ores from South Australia. The complexities of copper smelting ensured that only the larger mines could support smelting works. In most cases, these initial works produced a matte or regulus, which was shipped overseas for final processing. Carne listed the major copper finds in NSW from 1844 to 1908, indicating which of them possessed reverberatory furnaces. However the opening date of the mine is often not the date for the construction of smelting works. Further research of the details provided by Carne and others reveals that Smelter No. 1 at Cadia was only the second efficient smelting works erected at a copper mine in New South Wales. This excludes the Newcastle Copper Smelting Works, erected at Newcastle in 1846, to smelt ores from South Australia. 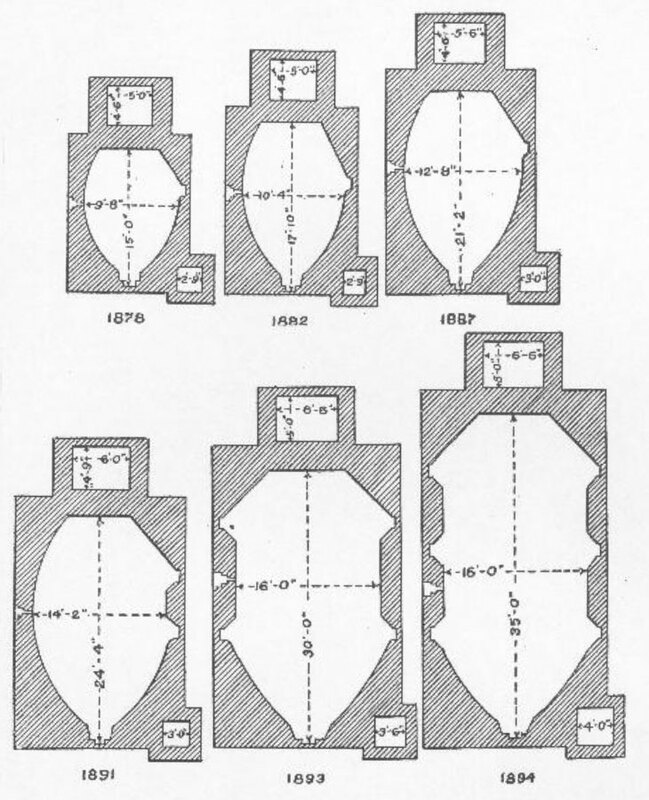 During the nineteenth century, reverberatory furnaces gradually became larger (E D Peters. Modern Copper Smelting. 1895:444).